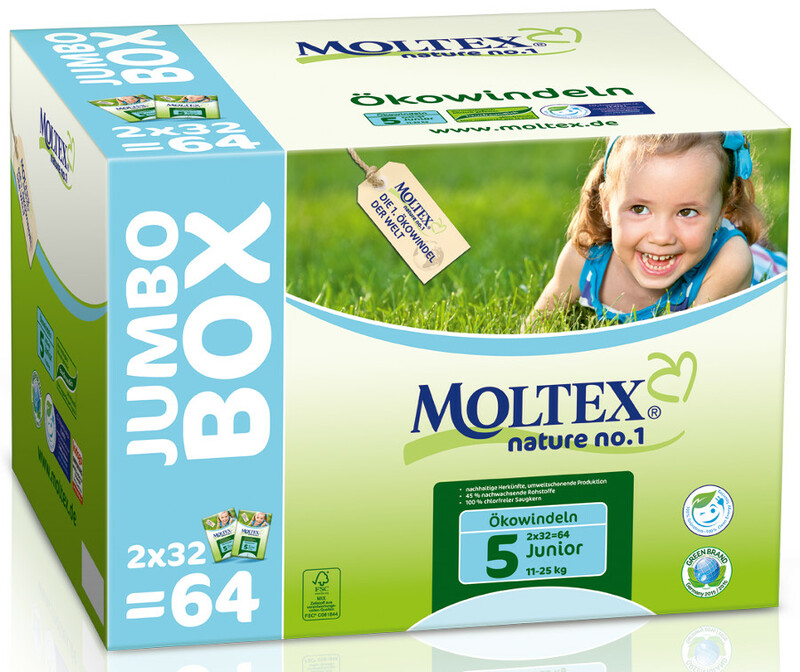 The Moltex Nature Disposable Nappies - Junior - Size 5 - Jumbo Box of 64 product ethics are indicated below. To learn more about these product ethics and to see related products, follow the links below. Love these nappies : very absorbent, non irritant for the kids, and they are at a good price. Great nappies, no leaks or rashes! A new convert I love these nappies, they are much easier to put on especially with a wriggly toddler. They come out neatly folded and unfold smoothly, the tabs are so easy to open and use. I was thinking of getting pull-ups but I'm definitely sticking with these. rnThey last well and have had no leaks from using them this past month, day and night. What I love most is they go up higher on the back and tummy than my precious eco nappies and fit my toddler better round the legs too. They're also more biodegradable than most.rnI'll be sticking with these until she learns how to use a Potty. 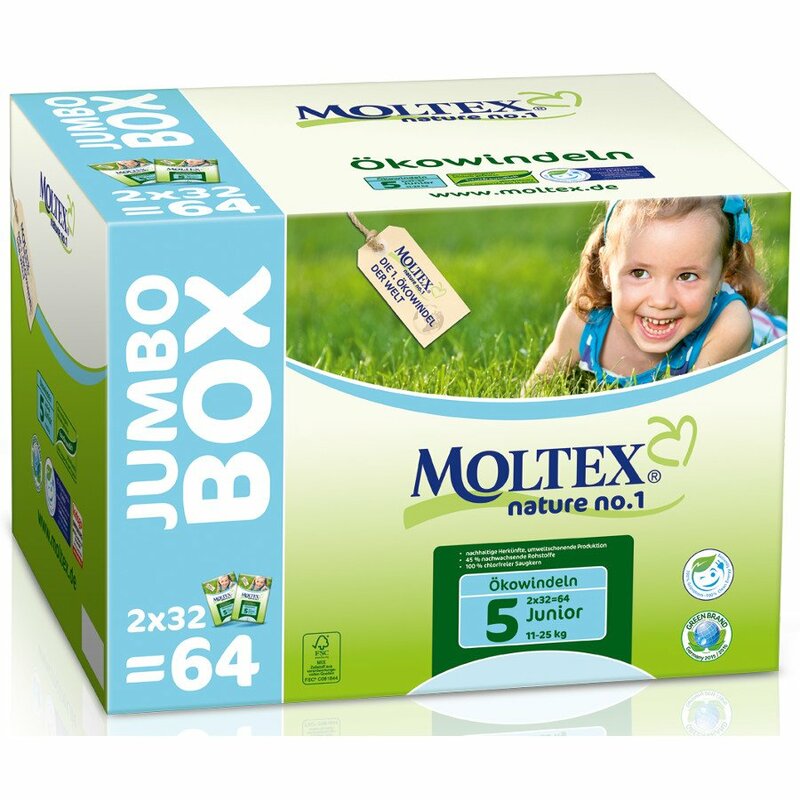 There are currently no questions to display about Moltex Nature Disposable Nappies - Junior - Size 5 - Jumbo Box of 64.